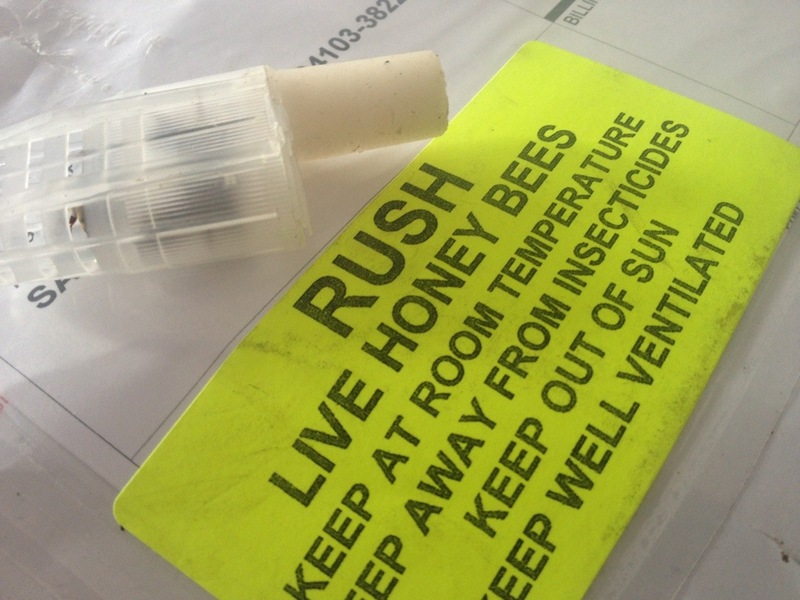 And finally, hive number two finds a good home. 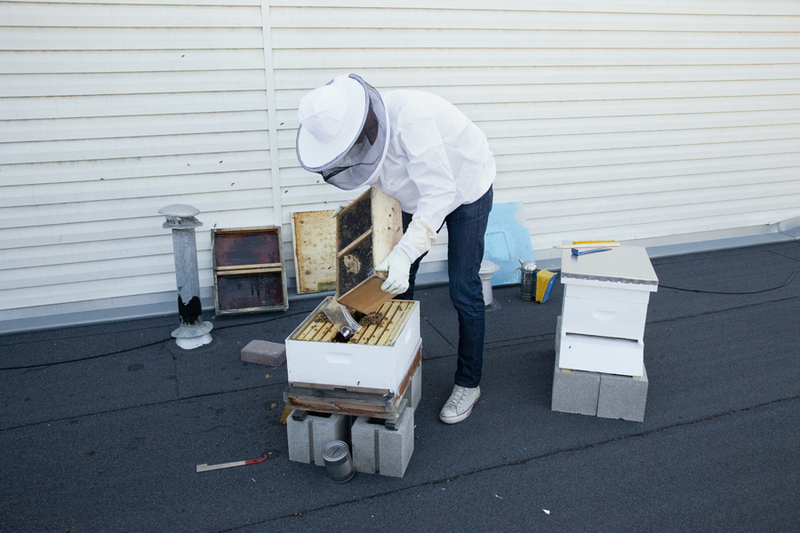 We’ll be sure to let you all know how the bees settle in to their new homes with fresh updates from our satellite hive locations. More to come! 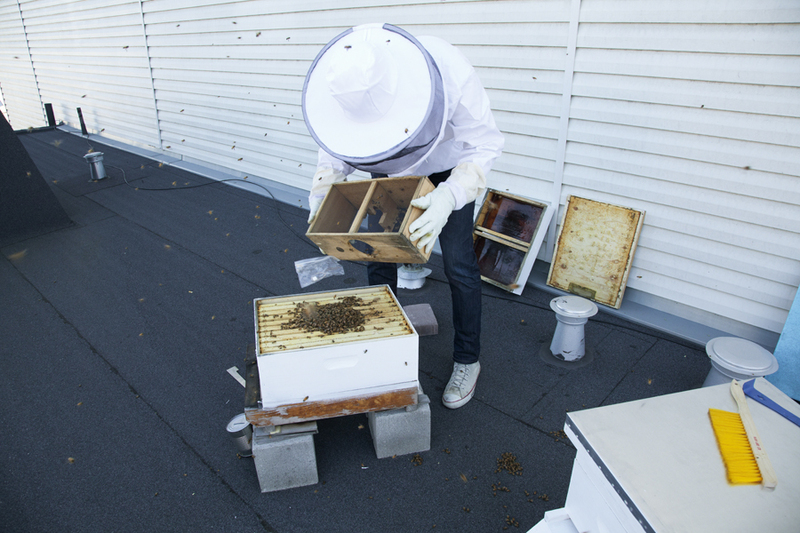 After a bumpy journey across town, we finally arrived at the new home for our first hive, Boon’s backyard. 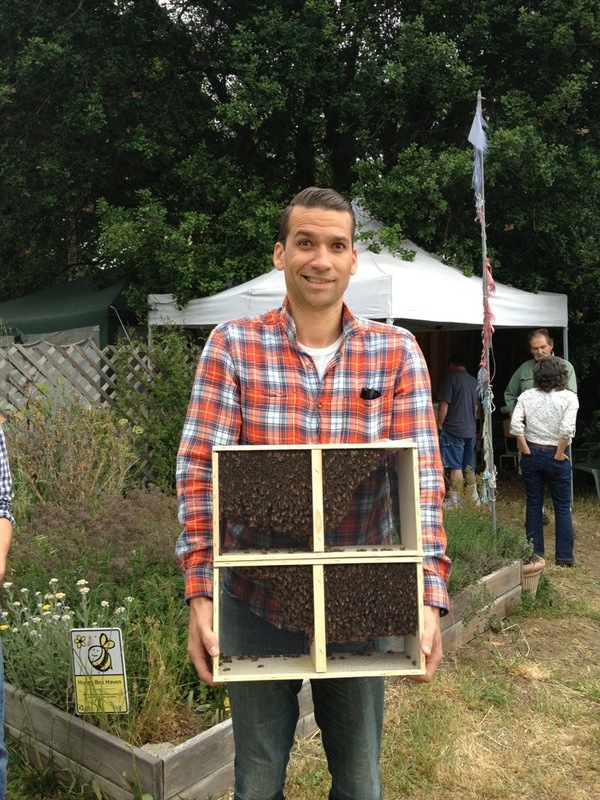 For those of you who don’t know or who haven’t read Our Book) Boon is the person who introduced us to beekeeping. 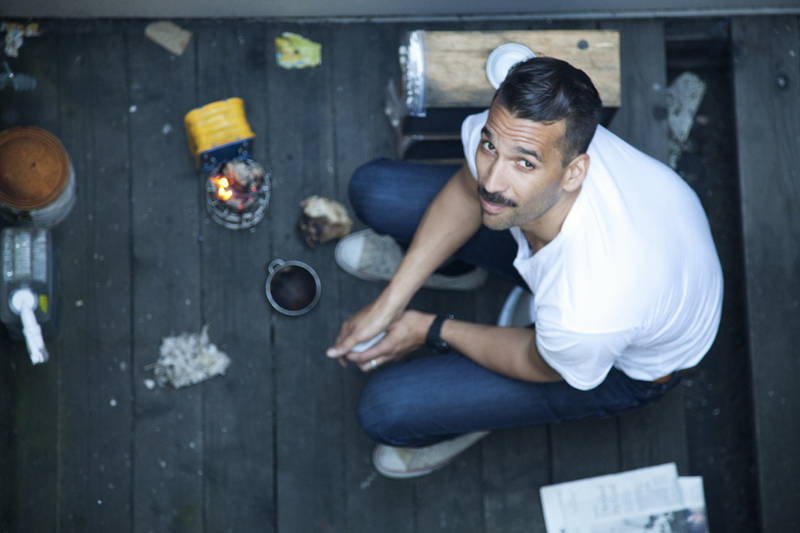 Boon lives in the Mission in San Francisco and has a super bee friendly backyard. We think this will be a great home for the ladies. 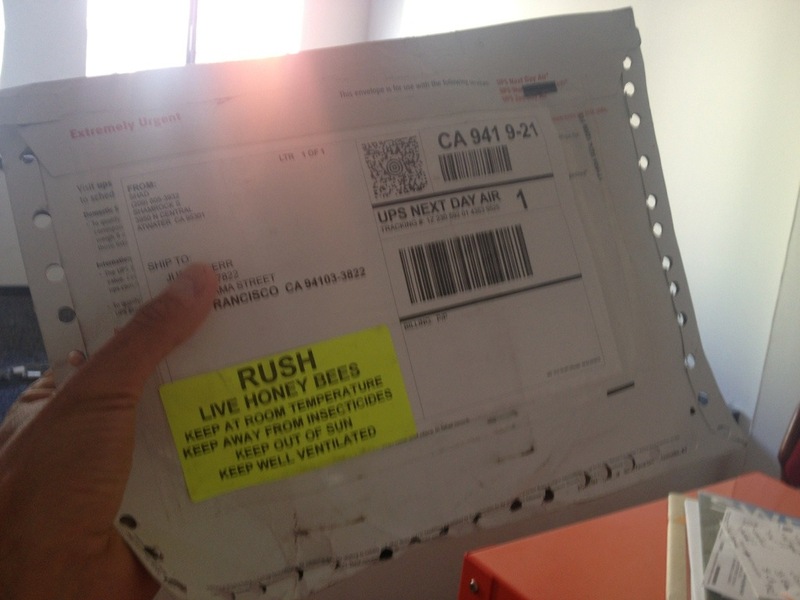 Thanks for acting as temporary bee custodian Boon! 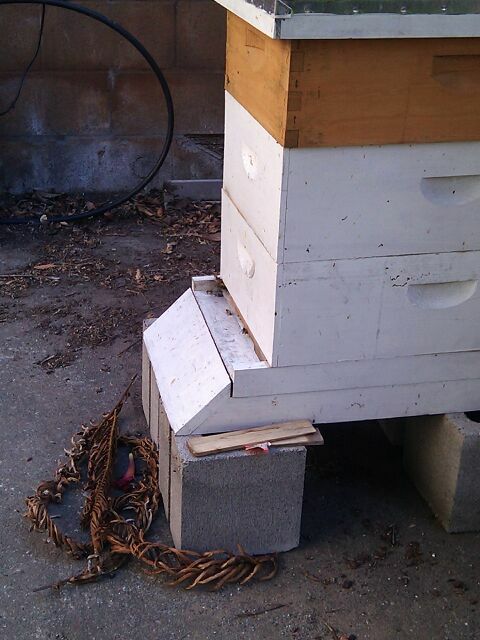 Here is our new Queen in her new hive. 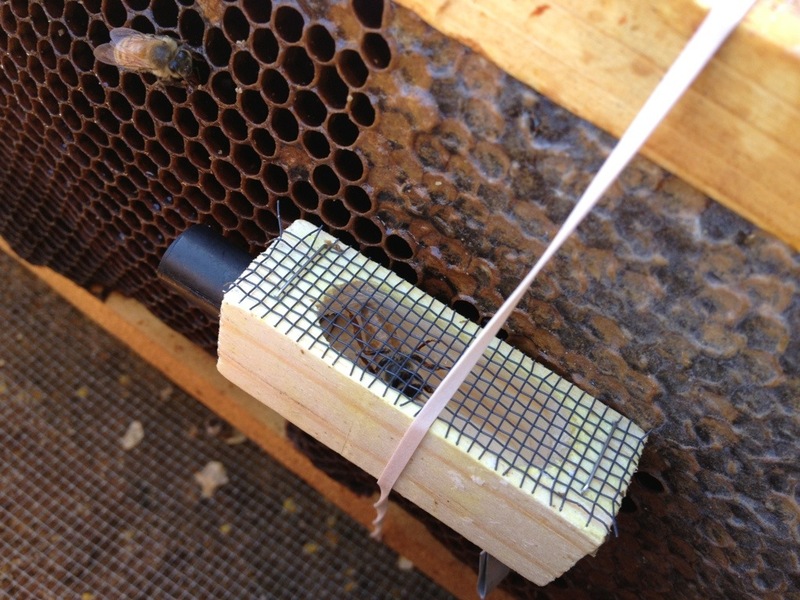 Upon initial installation the Queen is put in a small cage as the hive adjusts and accepts the queen’s scent. 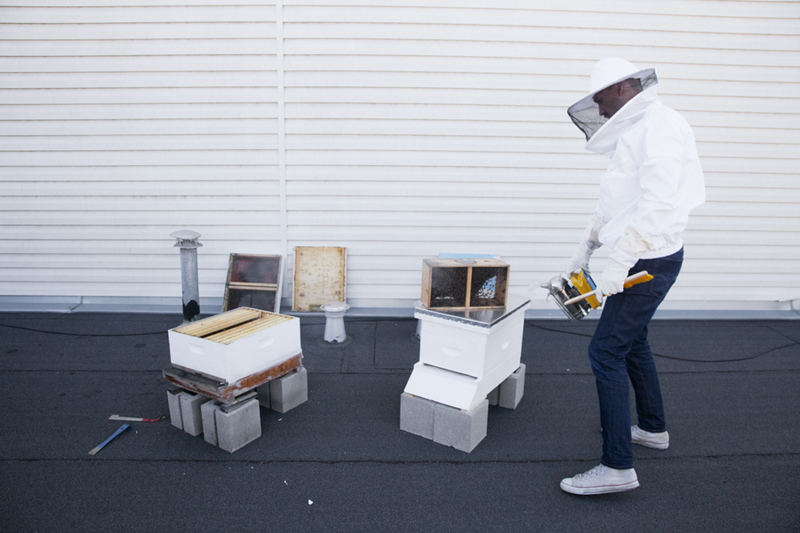 The Installation – Bees on the Loose! 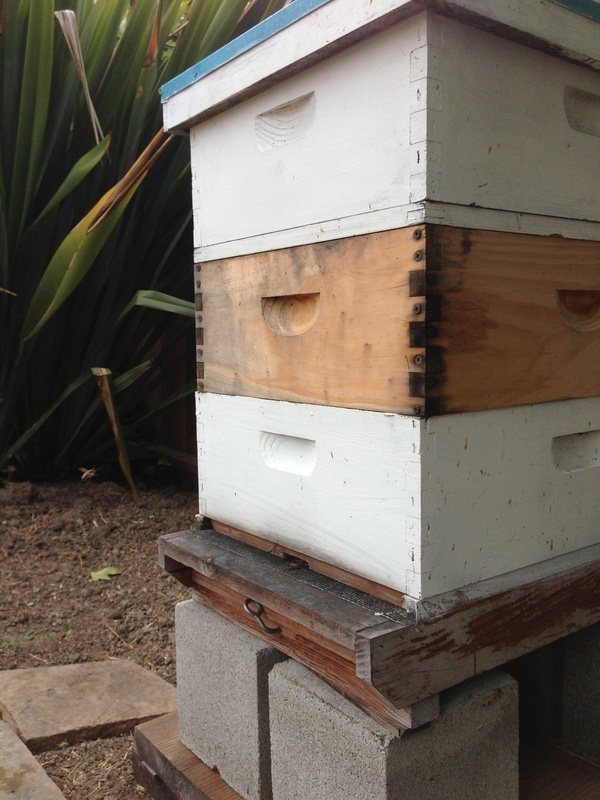 A close-up pic of the bees as they get acclimated to their new hive. 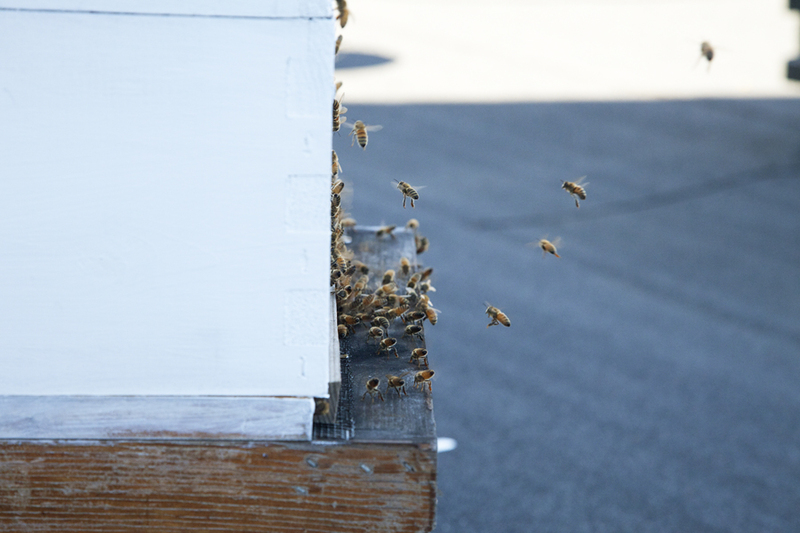 Many people ask, and the answer is yes, the bees are free to come and go as they want. Short of blocking the entrance (which we do on occasion for specific reasons) the bees fly in and out of their own accord. 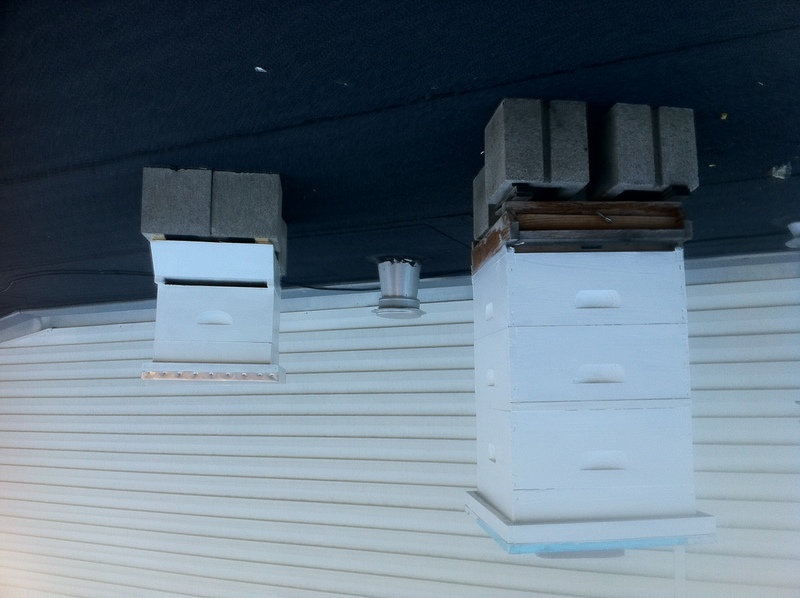 Likely their first step upon installation is to send out a few bees to find a local water source and some initial ideas about where some good flowers are. Cam in action. 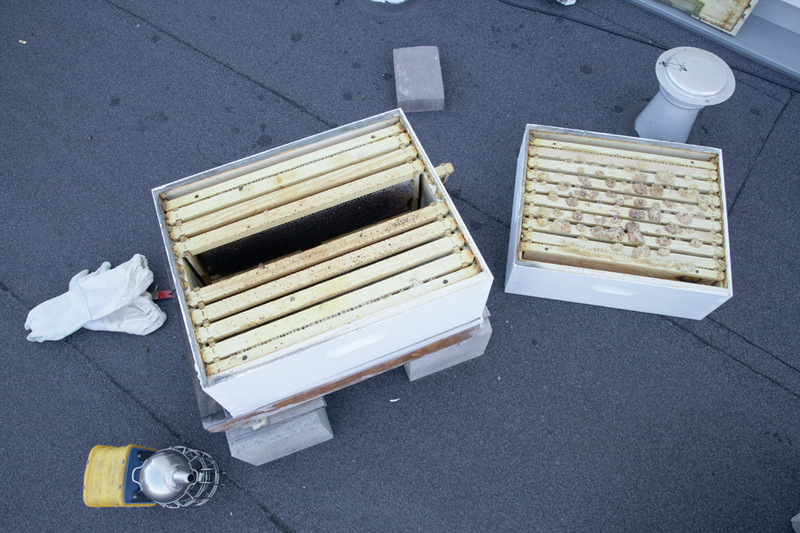 Literally pouring bees out of the shoebox into their new hive (which is the old, original hive). This is not easy to do by yourself. Yes, those are bees flying everywhere! The installation is exciting, dangerous, and fun. The start of a new adventure! Note the small box in the middle right of hte picture. This is a small cage in which the queen is kept. She is placed in this box and sealed in with a marshmallow. 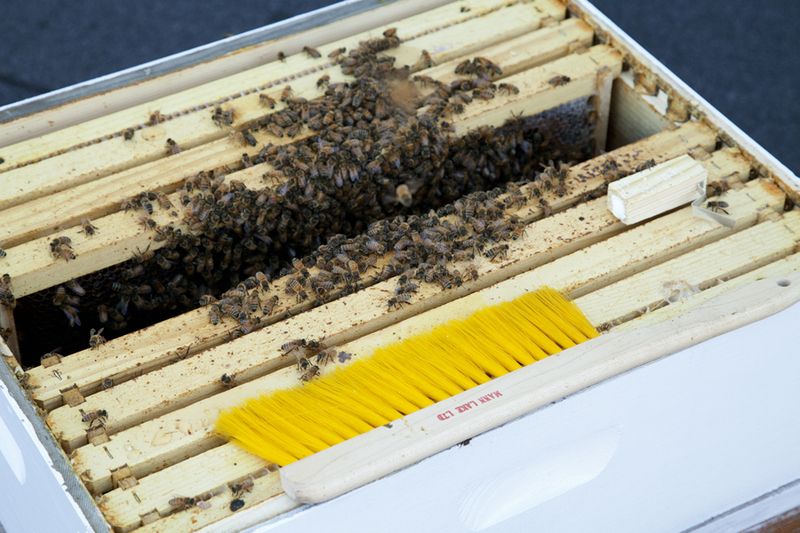 The idea being that it will take a day or two for the bees to eat through the marshmallow to help the queen escape. During that period, the hive will become accustomed to her scent, and will accept her as their rightful queen.